This should be a “no-brainer”. Whenever someone likes your site or product page it shows up on the profile page on Facebook of this person. This person, in turn, has Facebook Friends, who will also see what he or she likes and most likely click the link and come take a look. This could bring in some fast sales, more likes and much more. Facebook likes can be seen as an endorsement or approval of your site or product. In other words, the more likes you receive the better the site or product is perceived by your visitors. Needless to say that this brings in the online version of the best advertising known to man: Word of mouth. Whether it is a site receiving the likes or a product page, the brand that is being liked will get around. As stated the person doing the liking has friends, who may also like your site or product. When you receive enough likes it will be just a matter of time until people will start searching for it through search engines, like Google, Bing, and Yahoo. Through likes, it is possible to reach far more people than through the search engines or other promotional means alone. The Facebook friends system will ensure your site or product reaches people you would never have reached otherwise. As you may or may not know, a large part of determining how high your site or page ranks on Google is determined by the sites linking to it. The higher the PR of a page that links to your site or product, the more important your site gets in the eyes of Google. Facebook is a PR 9 site, so every like you receive equals a high-quality PR9 link. This, in turn, will boost up your rankings on Google, which brings in even more valuable visitors. Because of the really high PR, Facebook enjoys, Search Engines love it and continuously crawl it. Links on there, including likes, will be indexed a lot faster than websites and pages not mentioned on Facebook. Therefore receiving likes is the perfect means to make sure new websites or product pages will be found by search engines a lot faster and get indexed a lot more thorough. Needless to say that this, in turn, drives more visitors to your site or the product page. Like with PR Google also deems links to your site without linking back from your pages as more important and will index sites accordingly. Likes produce a lot of quality one-way links to your site or product page, which in turn results in better search engine listings. One of the first rules of thumbs for running any type of website is that every link makes for a possible entrance to your site. 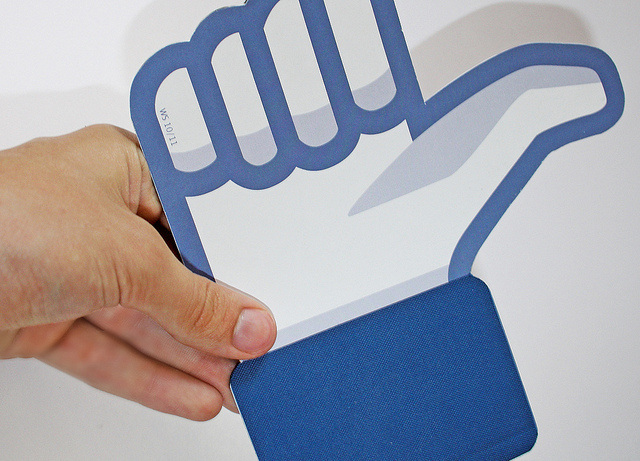 Facebook likes make a lot of links and therefore a lot of possible entrances to your site. Needless to say that this will increase traffic on a long-term basis. Besides the traffic factor mentioned above, Facebook like provide a site owner with insight into what his or her audience likes and does not like. This, in turn, is an invaluable marketing tool enabling site operators to fine-tune their websites to the wishes of their audience. In the old days, surveys and questionnaires would have to provide this information, which was a costly and time-consuming endeavor. Facebook likes to provide you with this information fast and free of charge! Last but certainly not least, Facebook likes can be used as a trophy. By placing a widget on your site or page that shows the number of likes it has received, people can instantly see whether or not your site or product is popular or not. It almost works like a seal of excellence straight from the Horse’s mouth. Love them or hate them, but the Facebook like system has proven to be an invaluable tool for any website operator, increasing rankings, traffic, and reputation of the site or product page in question. Over the years it has become a tool no self-respecting site owner can afford to ignore, so take advantage of the tool, Facebook has gracefully provided free for everyone to utilize and benefit from. Facebook likes are here to stay and any website owner who has the same intention will be smart enough to implement them.